One of the main directions of Meri Global Export work is export citrus from Turkey to other Countries. Our oranges, lemons, mandarins, and grapefruits are sold in more than 60 countries and used for juice production by the well-known companies. Our company is one of the largest citruses exporters, our export volumes reach the number of 20 000 tons per year. We provide full export services, such as selection, quality control, delivery, and customs clearance service. Citruses take a leading position in the world exports. Climatic conditions only of a few countries in the world are suitable for growing this type of plants. Citruses are well know by the heigh content of C Vitamin and fiber. Turkish Oranges and lemons stand out form other competitors by its taste qualities – they have rich taste which is formed by the unique climate of Turkey. Cost citruses production in turkey, makes them suitable for industrial juice production and available for the average person buying. We export fresh Turkish fruits and vegetables worldwide. Our services used by many leading companies in various countries. we guarantee the quality of fresh fruits and vegetables that we export from Turkey. We exporting fresh citrus worldwide. Our services used by many leading companies in various countries. 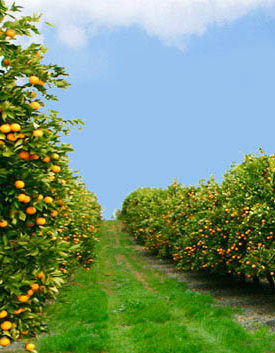 we guarantee that citruses that we export – have all ecological-safety certificates. While many other citrus exporters are given all transport question to their customers, we solve any issues related to the supply of citrus from Turkey. For transportation, we use our own truck fleet, complete with the new ref-trucks. All logistics operations are conducted at a professional level and on the time. Once the local citrus suppliers deliver products to us, it passes a visual inspection, all the fruits from Turkey tested for cover integrity. Then, we make a series of chemical tests to ensure that there are no harmful substances in products. Just past all the checks, we export citruses to customers. Meri Global has its own network of customs clearance agencies in many countries as well as cooperates with many other custom clearance agencies.We provide full documents support of citrus that we export. That’s why the customs clearance of citruses that we export carried out without any delays.